Jabari is totally ready to jump off the diving board. He's not scared at all. In fact, he should probably do some stretches first and make sure he's decided which fancy jump he's going to do before he climbs the ladder. Needless to say, Jabari might not be quite as ready as he thinks he is, but that doesn't stop his father from being a patient father and a cheerleader for his son. 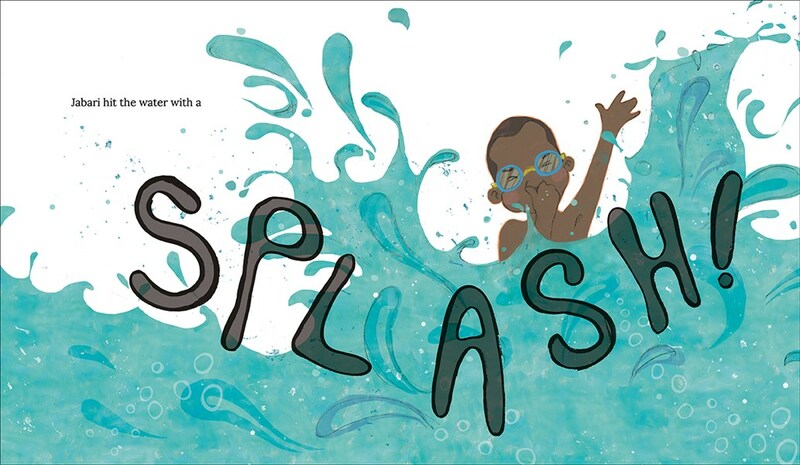 Cornwall's debut picture book was created with pencil, watercolor, and collage with digital coloring. It's colorful, with a heavy emphasis on blues and oranges. My absolute favorite spread -- the one I am sure Cornwall first had in her mind when she conceived this story -- features an aerial image from the boy's point of view, staring down at his toes and into the water below the diving board. 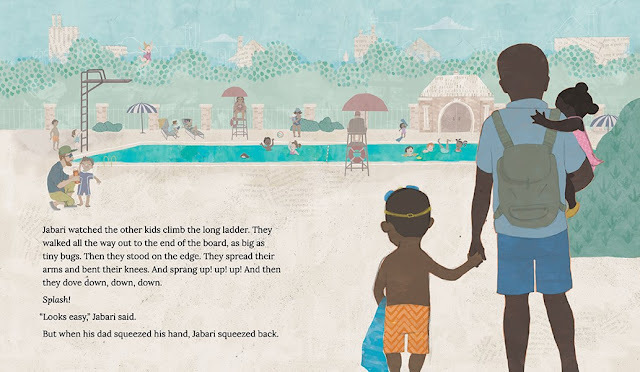 It, of course, emphasizes the height of the diving board and enhances the pride we as readers feel when Jabari finally makes his jump. Cornwall is never afraid to explore different perspectives in this book, and it gives the illustrations and Jabari's world a dynamic feel. 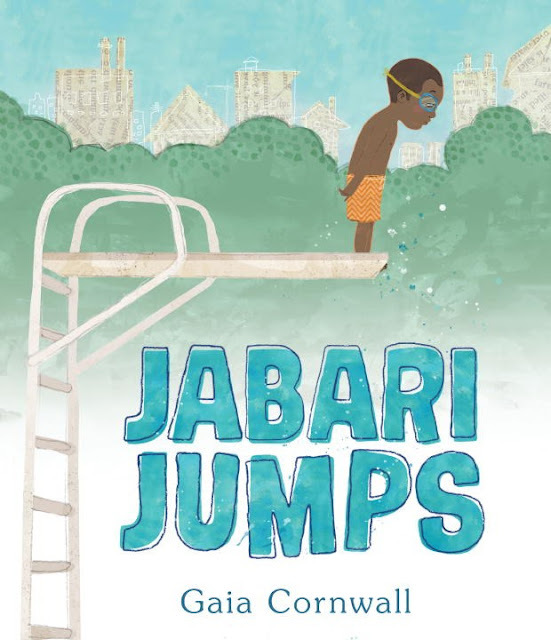 Jabari Jumps published last month from Candlewick Press. JABARI JUMPS. Copyright © 2017 by Gaia Cornwall. Reproduced by permission of the publisher, Candlewick Press, Somerville, MA.